If you’re a design aficionado like us, you’re probably just as excited as we are to retire the flannel and faux fur décor of winter. Thankfully, spring is here! With the new season come new trends that are lighter and brighter and more nature-inspired looks—sure to bring in the energy and general life that’s been missing during those long, cold weeks of winter. If you’re looking to give your abode a spring refresh, look no further. Our Decorist design experts have transitional decorating tips that are easy to do and—bonus!— easy on the wallet. Read on for six design ideas that’ll definitely take your space from cozy to breezy this season. 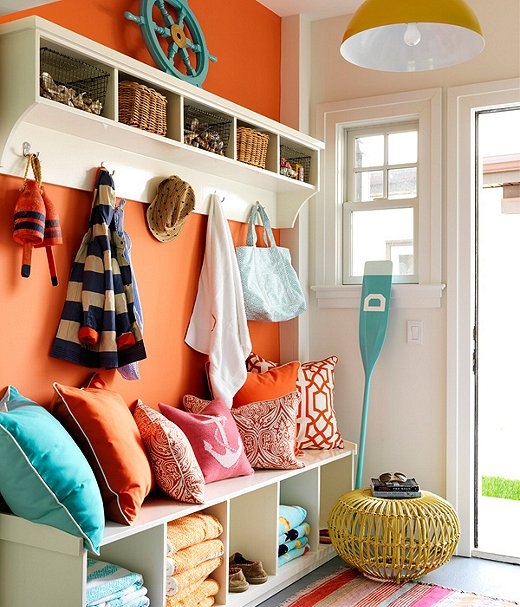 The new season is all about starting fresh, so spring-clean your entryway by keeping only the seasonally appropriate within eyeview. Heavy doormats can be replaced with light flat weave rugs and winter boots and coats should be stored away until next year. For more tips on getting your space decluttered and organized, check out our post on Marie Kondo-inspired organizational tips. Need an easy way to update your décor for the new season? Restyling your console table vignettes and dining table centerpieces with spring-appropriate items. 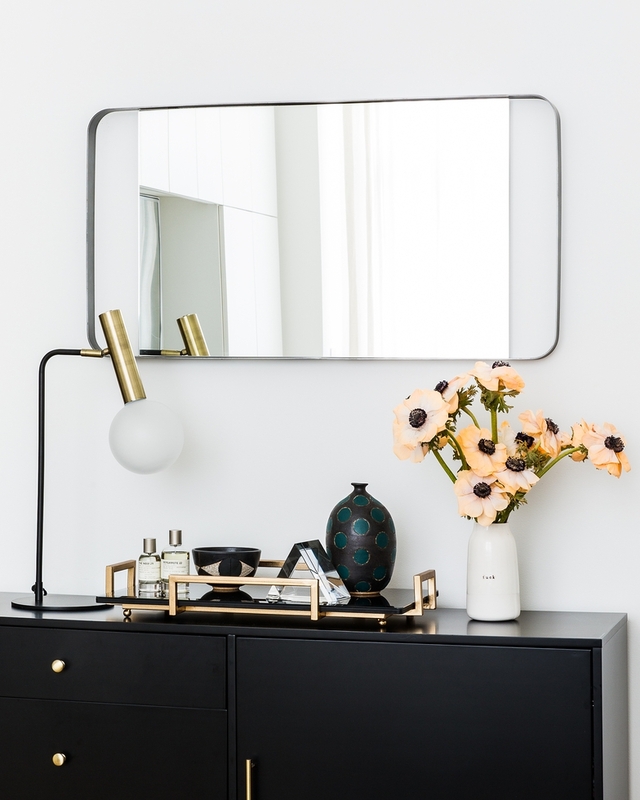 Try a minimal approach to your surface styling by focusing on handmade ceramics, modern sculptural pieces, fresh blooms, and other décor items in varying heights. Also, the mantel is often overlooked in the warmer months, but it can still make a major impact if styled well for the season, so apply the same design approach to your fireplace—and don’t forget to replace those large pillar candles with thinner taper candles and tealights. Take cue from the blooming beauty of spring by adding a splash of color and nature-inspired pattern to your walls. 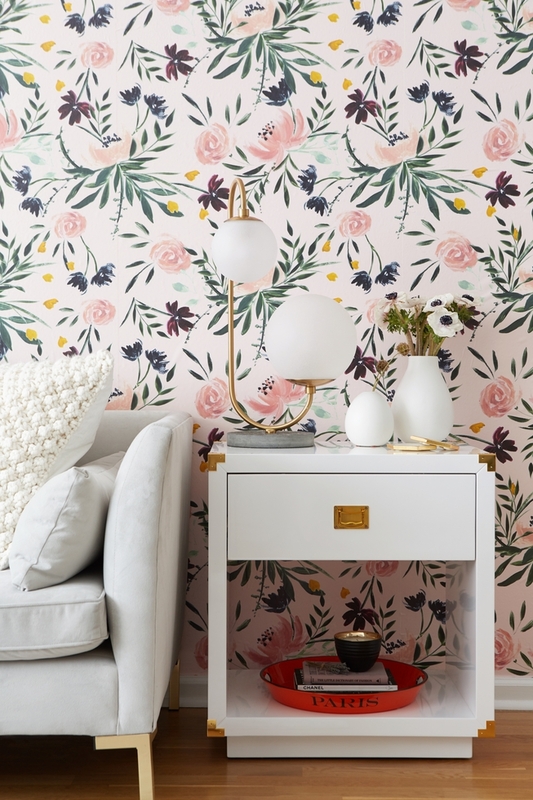 Bring some color (and life) into your home with a fresh coat of paint in subtle shades of green, light blue and pale pink, add some brightly colored art or try a floral wallpaper accent wall to really inject vibrancy and garden vibes into your home. Craft a fresh new living room look by retiring throws and pillows made of fabrics like wool, velvet and fur. Instead, swap them out for lightweight fabrics that breathe as the temperatures rise like cotton and linen. The same rule goes for rugs too—fur and wool rugs should be swapped out for flat weave and natural woven rugs that make your space feel light and breezy. Nothing says spring like fresh, crisp white bed linens. Give your bedroom a facelift by swapping out your thick winter bed sheets with lightweight linens. Switch your throw pillows and even heavy drapes with lighter ones in sheer linen fabrics—or get rid of curtains entirely to really let the light in. Add fresh blooms, a potted plant or vase with greenery to craft a beautiful and fresh space that remind us of nature. Our designers love a fresh floral arrangement, but for something that lasts throughout the season, style a few stems of dry pampas grass to create a warm and minimal modern look. Buy floral-scented candles and diffuser oils or lightly scented soaps to really help you feel fresh and rejuvenated. Feeling inspired by our decorating tips? Start a Decorist design service today to affordably transform your home into a springtime oasis that suits your daily lifestyle and design style.